I would rate them 10 STAR!! 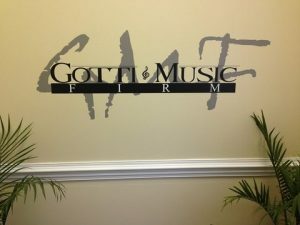 Welcome to Carolina Custom Signs & Graphics, the local provider of high quality and attractive wall murals and graphics. 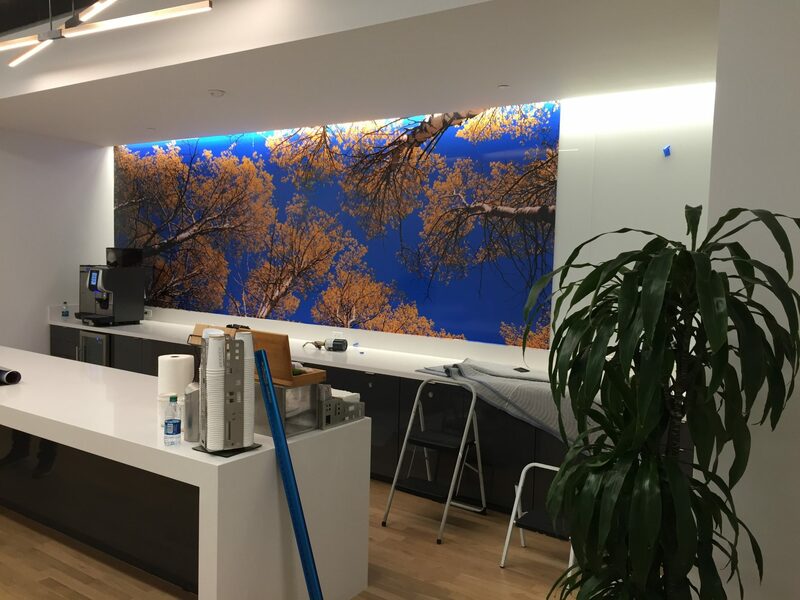 They are ideally used for businesses because a simple wall mural can immediately transform a long hallway into a history lesson about your company, bring more color as well as excitement to a boring wall and allow you to display your business logo in the lobby. We are responsible for designing, manufacturing and installing the best vinyl signs, graphics and wall stickers for your business. 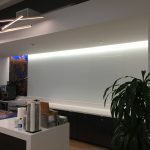 We don’t mind the size, purpose or placement because we can handle anything from hand washing signs in public bathrooms to the most inspirational murals in the break rooms. 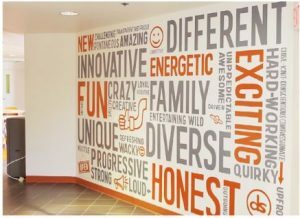 If you have a specific design in mind or a blank space you need to utilize, we can help you with the transformation of your boring business walls into branding masterpieces for your company. Call Carolina Custom Signs & Graphics today at (336) 252-2032 for a free consultation with a Wall Mural Specialist! 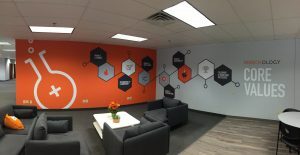 Carolina Custom Signs & Graphics is responsible for creating wall murals unique to your branding, business and space. 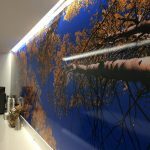 We utilize durable and high quality vinyl to come up with enticing and attractive wall graphics and lettering that says or displays anything you can imagine. 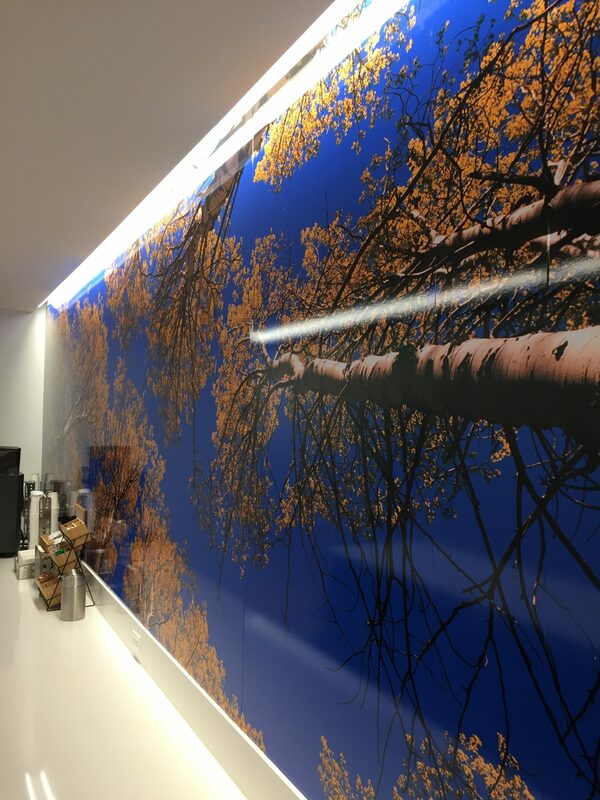 We handle everything from the large-format landscaping murals to individual wall decals that tell a story. If you change your mind after the mural has been installed, you can always take it down any time. Even better, you can revert your wall back to being plain or fit a new design to match the current branding, business promotions or seasonal changes. If you don’t have a design in mind, you can always work with our experienced graphic designers to create the best concept. That’s right! 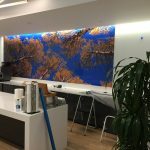 We can handle every step of the whole process effortlessly starting with providing advice for the design to the installation of the mural in your desired spot. 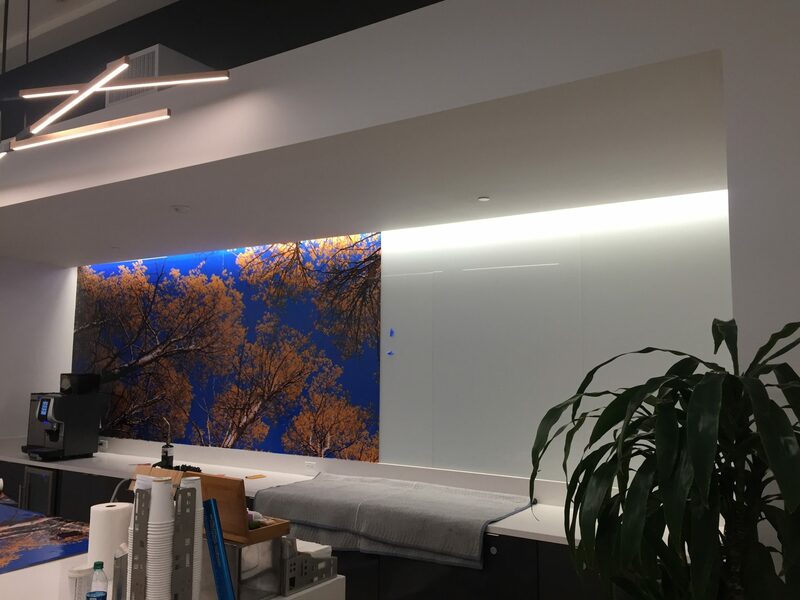 Even better, we are available for on-site evaluation such as measuring your walls to make sure the murals fits perfectly in the space available. Carolina Custom Signs & Graphics uses the best and high quality materials for the process. That’s why you can remain confident that the end results will be long-lasting, durable and have the most attractive finish. 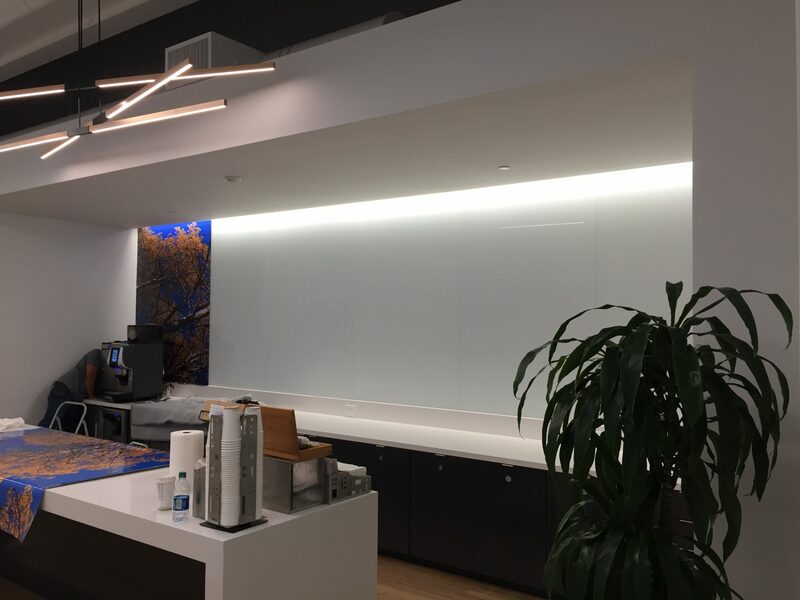 Our options range from matte to high gloss that’s convenient for placement anywhere in your business. 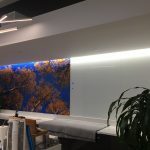 You can always choose to install the mural on your own but if you need the best results and a smooth finish, you should hire the professionals. You might have an easy time installing the small graphics but large vinyl sheets are often challenging to work with causing bubbles, creases or small rips resulting in an unprofessional appearance. By working with Carolina Custom Signs & Graphics, you can rest assured that if any issues arise such as vinyl damage, you will get a free replacement. However, if you damage the vinyl when installing on your own, the same warranty doesn’t apply, so hire us for the best results. The team at Carolina Custom Signs & Graphics is dedicated to providing the best products and support. We should be your first stop for any business signage needs. We have a wide range of products and services to guarantee that your business maintains its professionalism and attracts new clients every day. Call Carolina Custom Signs & Graphics today at (336) 252-2032 for a Free Consultation with a Wall Mural Expert! They produced a wonderful banner for the robotics team.